Are you feeling a little bit anxious and scattered? Does the thought of meditation make you want to scream? This can be easily remedied. What if you could feel relaxed and refreshed within minutes? What if you could be transported to a calmer, more peaceful place? What if you could easily add beauty and elegance to your world … for FREE? 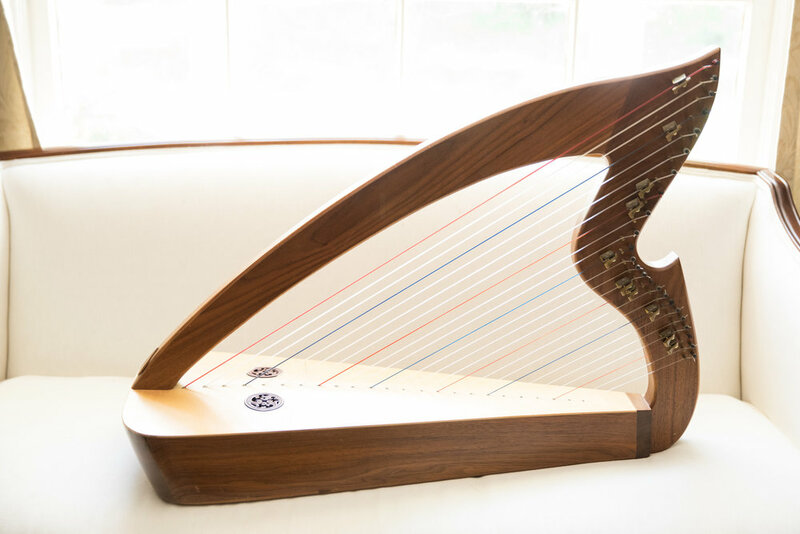 Download The Harp Salon’s signature theme song and relax from anywhere! Hi there! I am Dr. Agnes Bartek, owner and founder of The Harp Salon. I specialize in offering first-class music performances in Nashville, Tennessee. Agnes is the best! She was prepared, on time, and of course looked great. She has a large selection of music and is able to play her own choices or yours from her catalogue. Several guests made a point of telling me how much they enjoyed the music and how much they enjoyed speaking with Agnes at the reception. — Mackenzie E., Bride in Tallahassee, Fl. Thank you for your wonderful performance this Saturday. My mom was delighted. Many family members and guests commented happily about the music. My niece may well take up the harp, thanks to your inspiration. — Richard R-C, for his mothers 90th birthday party in Nashville, TN. Agnes was absolutely wonderful! She played beautifully and was very easy-going. It made my party a huge success and it was a dream to watch her perform. — John S., party host in Nashville, TN.